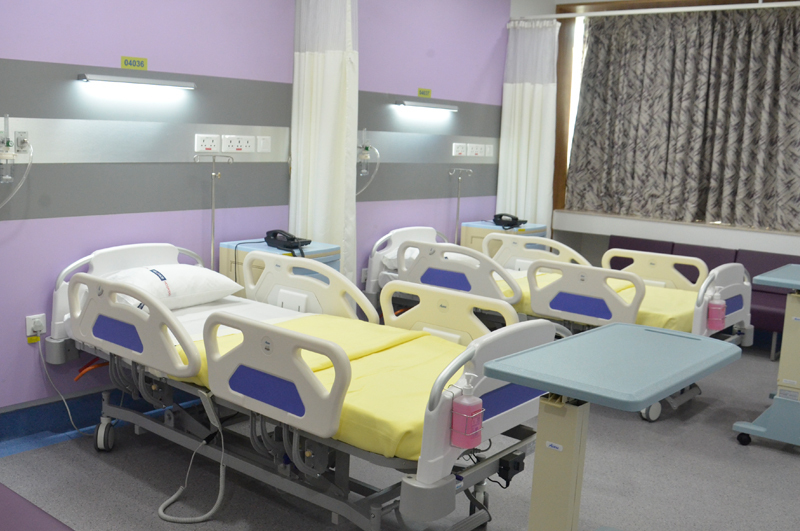 Patients and their relative can stay in a suite with amenities like separate rooms for both, separate bathrooms, separate TVs with multiple channels, fridge, Wi-Fi facility, direct dialling, two-way nurse call system, personal safe and many more facilities for total comfort. Single rooms are self-contained with a bathroom, sofa for a relative, TV with multiple channels, fridge, direct dialling, two-way nurse call system and personal safe. These are rooms shared by two patients. Each patient's relative has a separate couch and every patient has a separate TV with multiple channels, direct dialling, two-way nurse call system and personal safe. 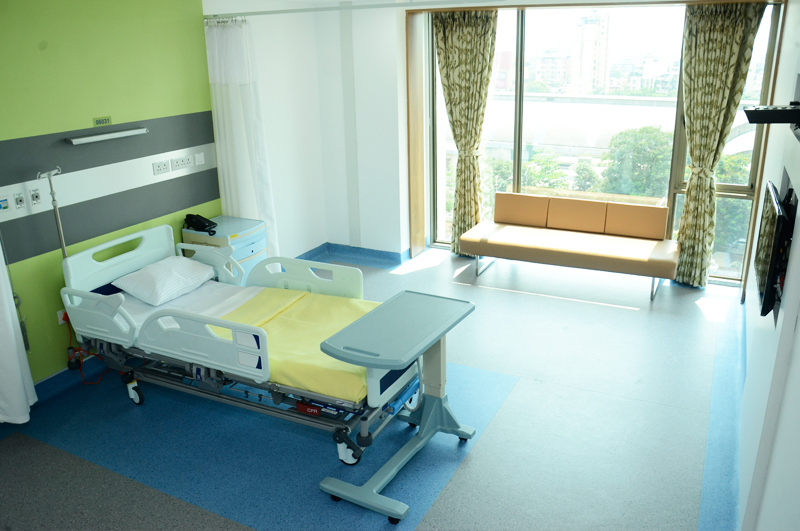 Our general ward rooms are three, four or six-bedded units. Each unit has a TV with multiple channels, direct dialling, and two-way nurse call system for each patient and personal safe for each patient, also including a resting recliner for every patient's relative. 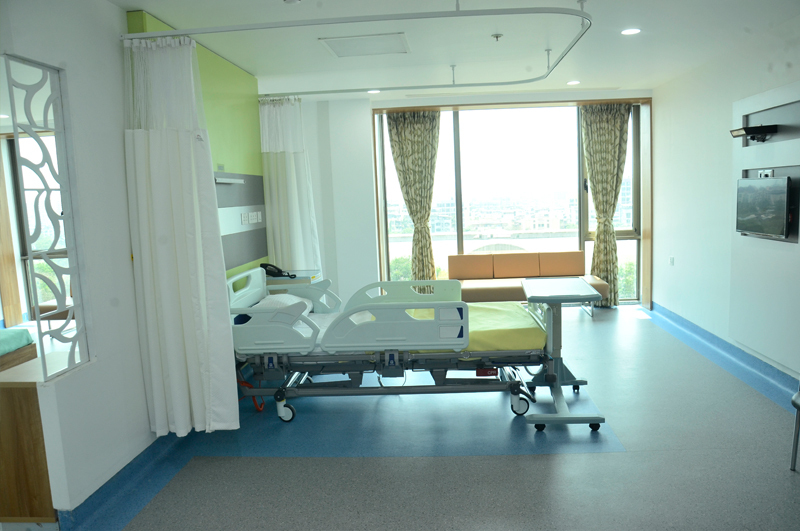 Isolation rooms, with three isolation beds, are basically single rooms and 4 ICU isolation rooms where patients are admitted to prevent cross-infection. These include 'positive pressure rooms' and 'negative pressure rooms'. 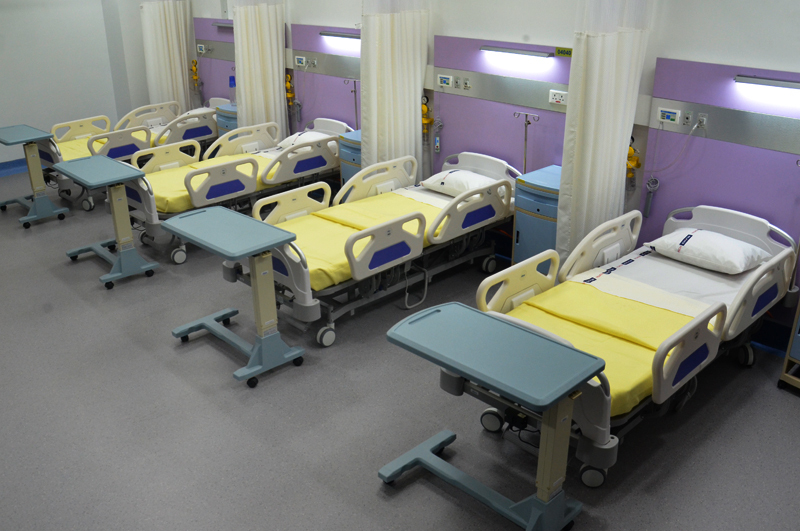 Positive pressure rooms are used to accommodate patients at risk of contracting infections very easily, whereas negative pressure rooms are used to accommodate patients who may be infected and spread infections to others.